The Cold Control System is a technological program created by Abimis, that offers a fully customizable refrigerated columns. 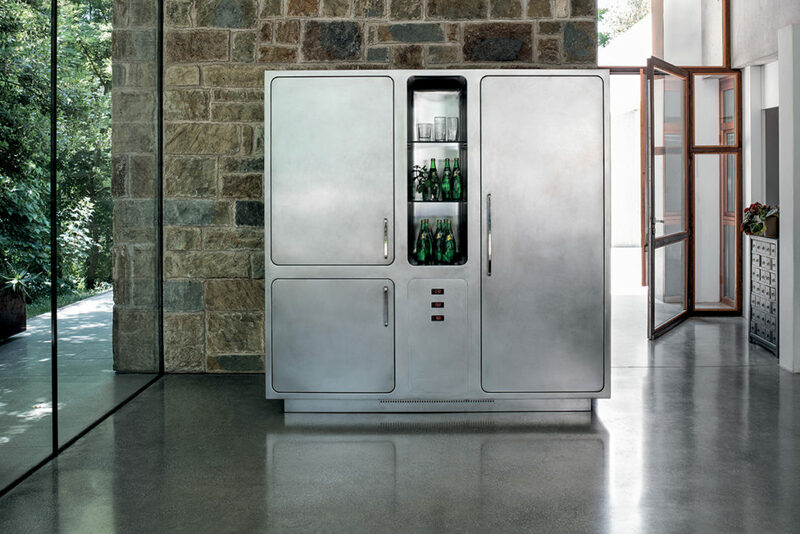 The company proposes a wide range of choices of finishes, sizes and configuration, with an easily accessible external panel, which allows to control the temperature of the various compartments and to monitor the status at any time. This solution brings the technologies of the great catering industry to the domestic kitchen, following the strategy of Abimis, that continues in its intent to bring the world of professional cooking closer to the home use. The columns aesthetics is characterized by simple and soft lines, and the material, the stainless steel AISI 304, remain the same as the Abimis kitchens. The Cold Control System is divided into several cells, separated from each other and at different temperatures, destined for conservation with wisdom and organization: meat and fish, for example, are divided by fruit, vegetables, milk, etc. to prevent the contaminations. All the shelves of the system, then, are extractable to ensure maximum accessibility and a better organization of space. Finally, an internal ventilation system guarantees the same temperature at any point in the cell. The Abimis Cold Control System also adopts the Gastronorm system, which provides standard dimensions for the containers, trays and other tools used in the catering world, optimizing the arrangement of the space.